Ganglion cysts are benign, fluid-filled lumps that appear just below the skin. If you develop one on your foot, your doctor may recommend an aspiration to remove the fluid in the cyst so that it goes down. If your foot doctor in Sugar Land has recommended that you undergo a ganglion cyst aspiration, it’s natural to feel a little anxious. This information will help you feel more confident when you walk into your appointment. 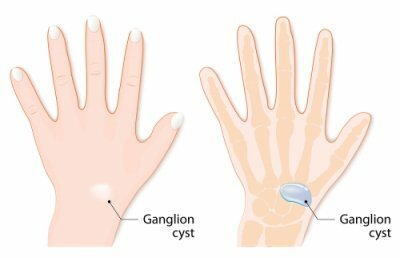 What happens during ganglion cyst aspiration? During the procedure, your foot doctor will wipe the area with an antiseptic cleanser and then administer a local anesthetic for your comfort. Once the area around the cyst is numb, your foot doctor will use a fine needle to puncture the cyst so that the fluid comes out. The process is very fast and is usually completed within minutes. There is no required recovery time, and you should be able to return to your normal activities right away. Your doctor will use a local anesthetic so that you are comfortable during the procedure. You may feel pressure, but you shouldn’t feel pain. In some cases, you may experience some minor swelling or discomfort around the site of the aspiration when the anesthesia wears off. These symptoms should be short-lived and can easily be managed with ice and over-the-counter pain medicines. Most people are in less pain after the procedure, since releasing the fluid eases the pressure within the cyst. If you are concerned about pain, talk to your foot doctor about your worries. In some cases, you could benefit from taking a sedative before the procedure, under the management of your doctor. Ganglion cyst aspiration is not right for everyone. If your cyst is small and not causing any symptoms, then your doctor may recommend watchful waiting before trying any treatment. There is also a risk that cysts can grow back after aspiration. If your foot doctor thinks that your cyst won’t be effectively treated by aspiration, he or she may recommend a different treatment plan. Exercise may be essential for healthy living, but not to the point that you’re exercising while injured. If you experience unusual foot pain, it’s time to see a podiatrist in Sugar Land . It’s possible for your feet to simply be sore if you’ve been doing more hiking than usual, but typically, you’ll feel the soreness in your legs instead. Watch this video to learn more about the differences between normal, exercise-induced soreness and injuries. If your foot pain is about as severe on the third day as it was on the first day, there’s a good chance it’s caused by an injury. Other signs of an injury include visible swelling or bruising, sharp, stabbing pains, tingling, and numbness. It’s possible for a podiatrist to detect changes associated with diabetes before you do. Foot doctors serving the Sugar Land area are always on the lookout for unusually cold feet, numbness, tingling, and foot pain that might indicate a diabetic foot. You can learn more about this serious health problem by watching this featured interview with a podiatrist. She explains that the unstable blood glucose levels associated with diabetes can cause damage to the nerves and blood vessels of the feet. This leads to poor circulation and an increased risk of undetected foot injuries. Patients with diabetes or vascular disease can protect their health by checking their feet daily, leading an active lifestyle, and following a medical treatment plan as recommended by the doctor. 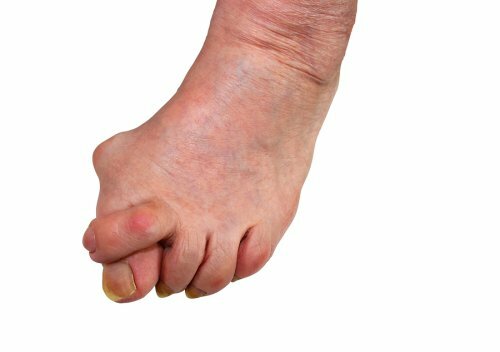 If you’re suffering from foot pain, a neuroma could be to blame. Neuromas, which are also known as pinched nerves or nerve tumors, are benign nerve tissue growths that often occur between the third and fourth toes, typically in women. If you’re experiencing foot pain, see your podiatrist in Sugar Land to get a diagnosis and to start treatment. Here are the answers to some question that you may have about neuromas. Foot specialists are not sure exactly what causes neuromas, but there are some factors that seem to increase the risk. Trauma that damages nerves in the feet could cause inflammation that leads to neuromas. Repetitive motions that put strain on the region of the foot usually affected by neuromas can also increase the risk. Wearing shoes that pinch the toes or put pressure on the forefoot also seem to raise the odds of developing neuromas. These include pointed toe shoes and high heels. Pain in the forefoot and between the toes is the most common symptom of neuromas. Some people also experience swelling between the toes. Pain, tingling, and numbness may also affect the ball of the foot, particularly when you take steps. The pain can become severe with movement and will often get worse when left untreated. Treatments vary depending on the severity of your symptoms. If you see your foot specialist at the first sign of symptoms, conservative, non-invasive treatments are usually effective. Padding and taping the ball of the foot can help, as can custom orthotic devices that control your foot functioning and prevent you from aggravating the condition. Sometimes, anti-inflammatory medications and cortisone injections can also ease the pain. Wearing wide-toe box shoes and avoiding high heels is also necessary. If these treatments are not successful or your neuroma is diagnosed in an advanced state, then surgical treatment may be needed. During surgery, the affected nerve tissue is removed to cure the condition.